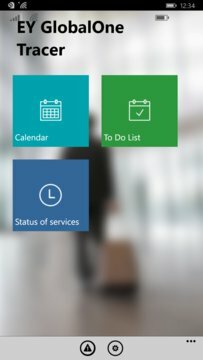 EY GlobalOne is a mobile application that uses the GPS functionality on your iPhone to capture your location and automatically update your myEYOnline calendar. EY GlobalOne is not a standalone calendar tool, but works in conjunction with myEYOnline to help you complete your annual calendar. 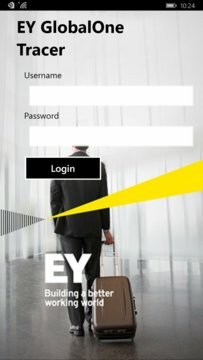 To access EY GlobalOne you must first contact your EY representative to activate the “mobile calendar” service within your myEYOnline account. Use your existing myEYOnline User Id & Password to log in to EY GlobalOne. The application validates your credentials with the myEYOnline system and starts the application on your Windows Phone.